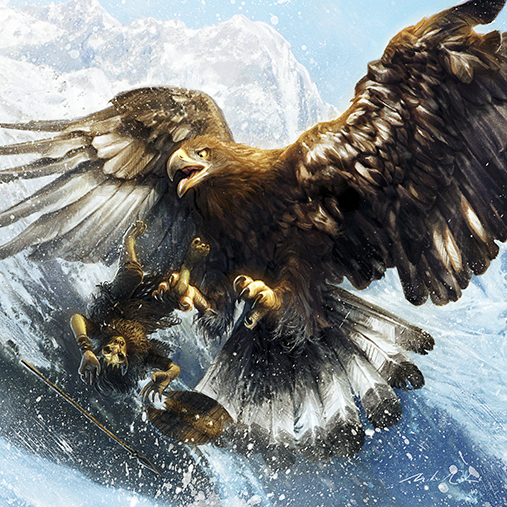 The Eagles were birds that served as messengers of Manwë. 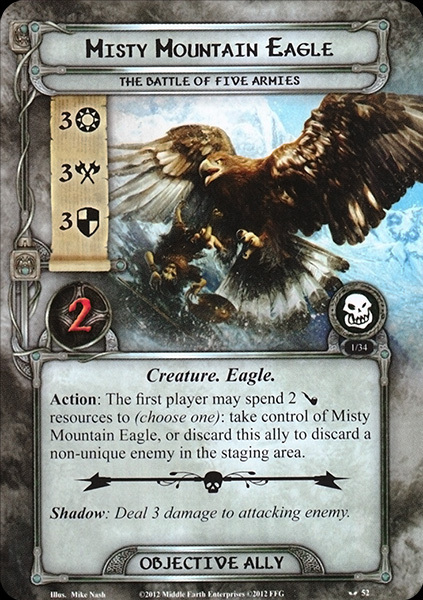 Among those were the Great Eagles, immense birds who were sentient and capable of speech, and often helped Men, Elves and Wizards in the quests to defeat evil. They were “devised” by Manwë Súlimo, King of the Valar, and were often called the Eagles of Manwë. 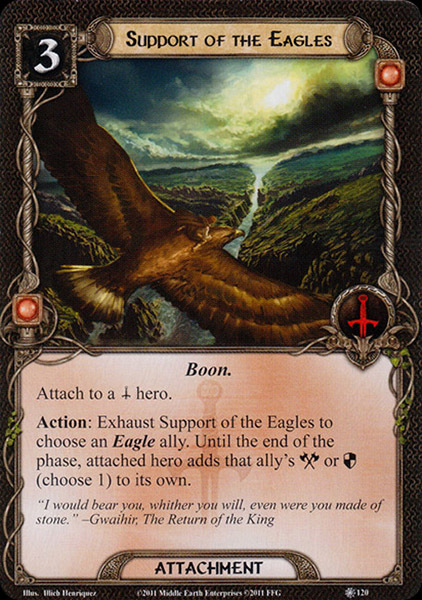 The Great Eagles were messengers of Manwë, the ruler of the sky and Lord of the Valar, being perhaps “spirits in the shape of hawks and eagles” that brought news from Middle-earth to his halls upon Taniquetil. The Númenóreans believed that three eagles, “the Witnesses of Manwë”, were sent by Manwë to guard the summit of Meneltarma; these appeared whenever one approached the hallow and staying in the sky during the Three Prayers. Eagle-shaped storm clouds, called the “Eagles of the Lords of the West”, were sent by Manwë when he tried to reason or threaten them. - Farewell! wherever you fare, till your eyries receive you at the journey's end! - May the wind under your wings bear you where the sun sails and the moon walks. 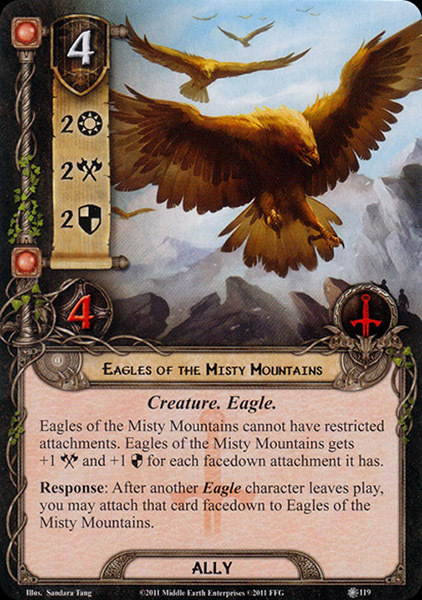 These Eagles helped the Elves of Rivendell and Radagast in watching the land and in gathering news about the Orcs. 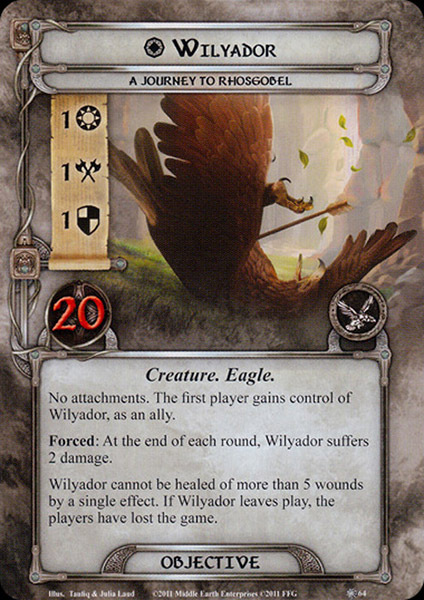 As a result of feeding on the sheep of the local Woodmen of Mirkwood, their relationship was not good and the Eagles were afraid of their bows. 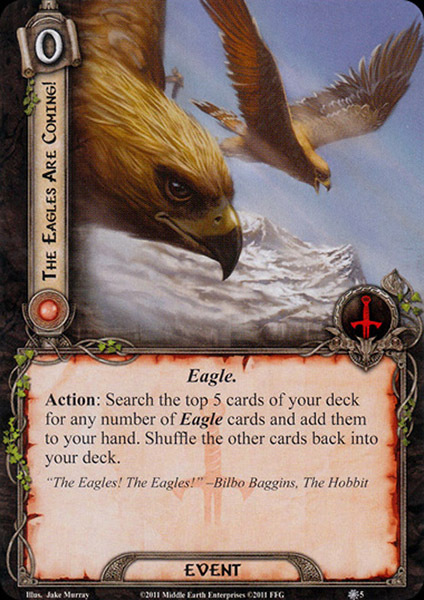 In Gnomish, one of Tolkien's early conceptions of an Elven language, a word for “eagle” is ioroth (poetic form ior). A cognate of the same meaning in Qenya is the poetic ea(r) or earen. 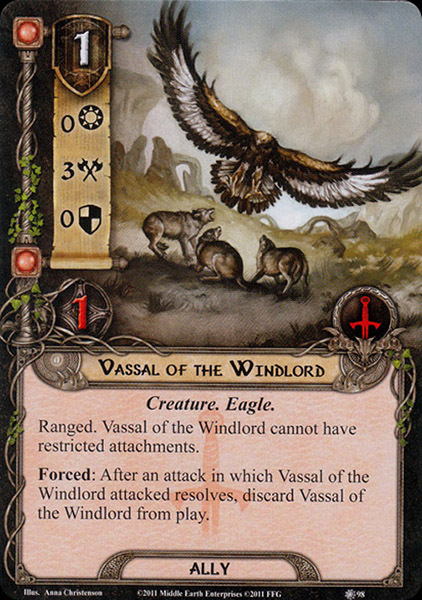 Another Gnomish word for “an eagle” is thorn. 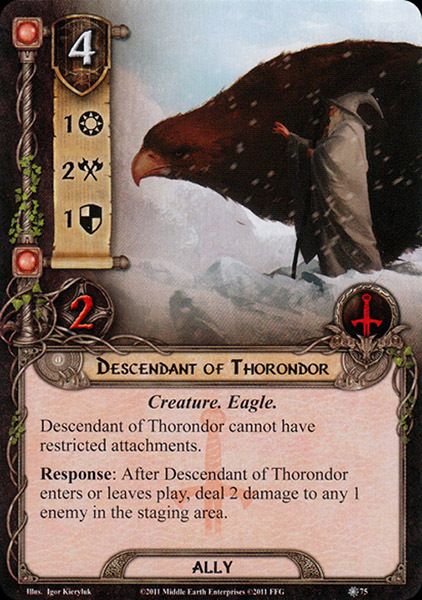 In the earliest version of the fall of Gondolin, the king of the eagles, Thorndor (later Thorondor), had no love for Melko (later Melkor) because he had caught many eagles and tortured them for the magic words that would enable him to fly (in order to challenge Manwë for command of the air). When the eagles refused to reveal the magic words Melko cut off their wings in order to fashion a pair for himself, “but it availed not”. For some time Tolkien considered the Eagles as bird-shaped Maiar, as he felt it unlikely Ilúvatar would grant fëar to animals. 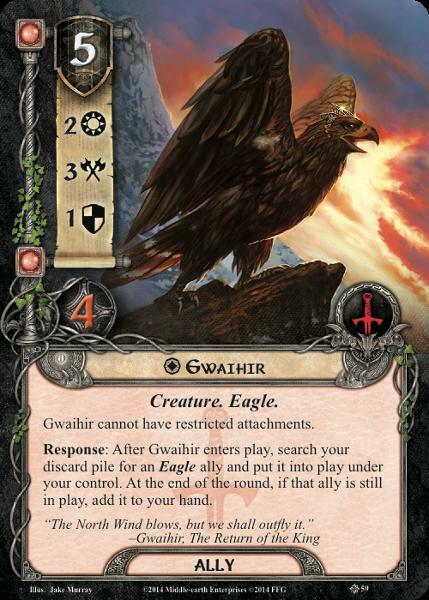 However, the notion of a “Maia” like Thorondor having descendants contradicted later concepts and Tolkien later decided that the Great Eagles (like Roäc and the Thrush of The Hobbit) were common animals that had been “taught language by the Valar, and raised to a higher level — but without fëar.” In later texts, eagles were first envisioned by Manwë during the Music of the Ainur, and appeared shortly before the awakening of the Elves. Their origin is thus similar to that of ents. The Eagles are a dangerous 'machine'. I have used them sparingly, and that is the absolute limit of their credibility or usefulness. On the other hand, the Council was seen deciding the fate of the Ring, not the manner; this was left to the discretion of the Fellowship. Indeed, during its existence, the Fellowship had not even decided whether they should go directly to Mordor or to seek aid from Gondor, let alone the manner to do so, before decisively been broken at Amon Hen. 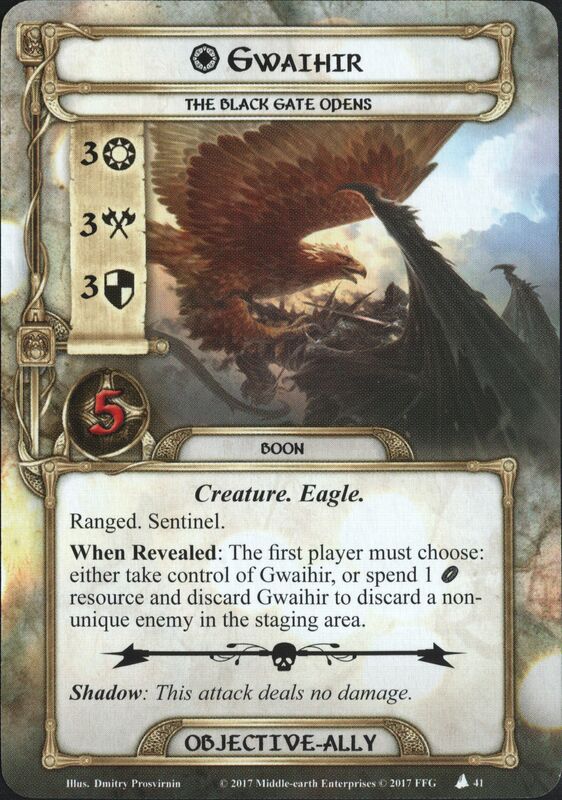 If Gandalf ever considered requesting the help of the Eagles after some point (eg. after passing the Misty Mountains) it's not mentioned in the narrative.